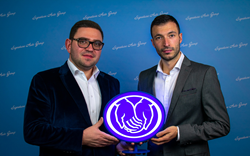 Signature Auto Group, New York City’s online car dealership, offering a variety of makes and models, this week made headlines when nationwide insurance brokerage and auto insurance platform, Allstate, Invited Signature Auto Group as the first non-franchise dealer exclusive insurance agents. We are thrilled that our loyal patrons will now be able to secure everything they need in one place without having to shop around for individual insurance broker quotes. Now offering their affordable, strategic, and advantageous insurance policies and packages through Signature Auto Group, the NY-based online car dealership will also be offering insurance to customers moving forward. Through access to the Allstate network, Signature Auto Group will now distribute insurance policies in auto, home, life, and commercial insurance. Working diligently to update the website with easy-access buttons that provide immediate quotes and packages to all clients, Signature Auto Group is proud to be the first non-franchise entity tapped by Allstate for such an arrangement. The Signature Auto Group and Allstate partnership officially went into effect on December 1, 2018. Signature Auto Group is a New York-based company with NATIONWIDE lease deals, offering insurance solutions to the greater New York State region. For more information, visit: https://signatureautoworld.com/.